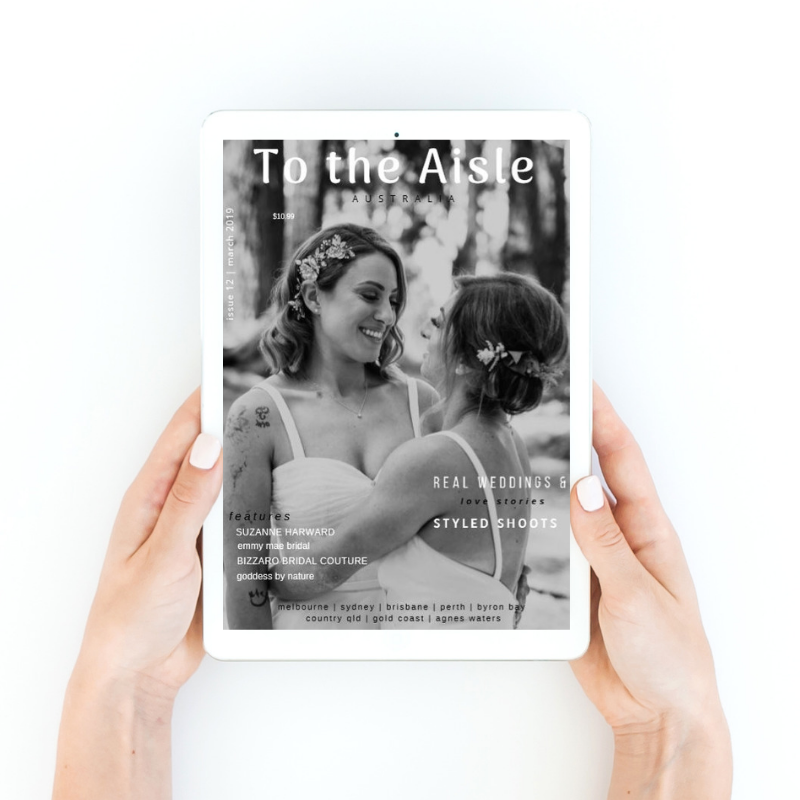 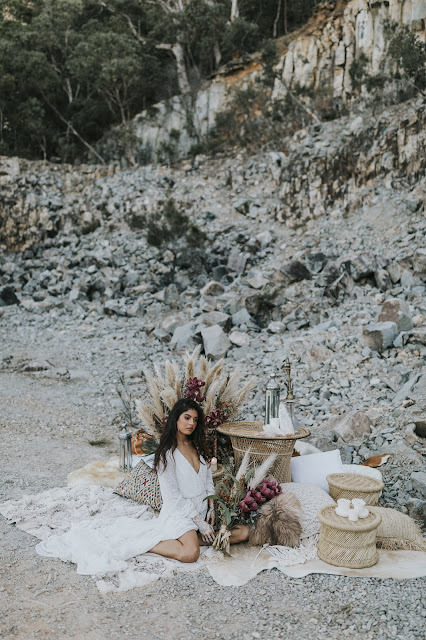 Two sisters became so inspired by their recent trip to India, bringing back treasures with them that feature in this shoot and having travelled through the Holi city itself, this shoot became a reality through the collaborative effort of twelve brilliantly creative Wedding vendors on the Sunshine Coast. 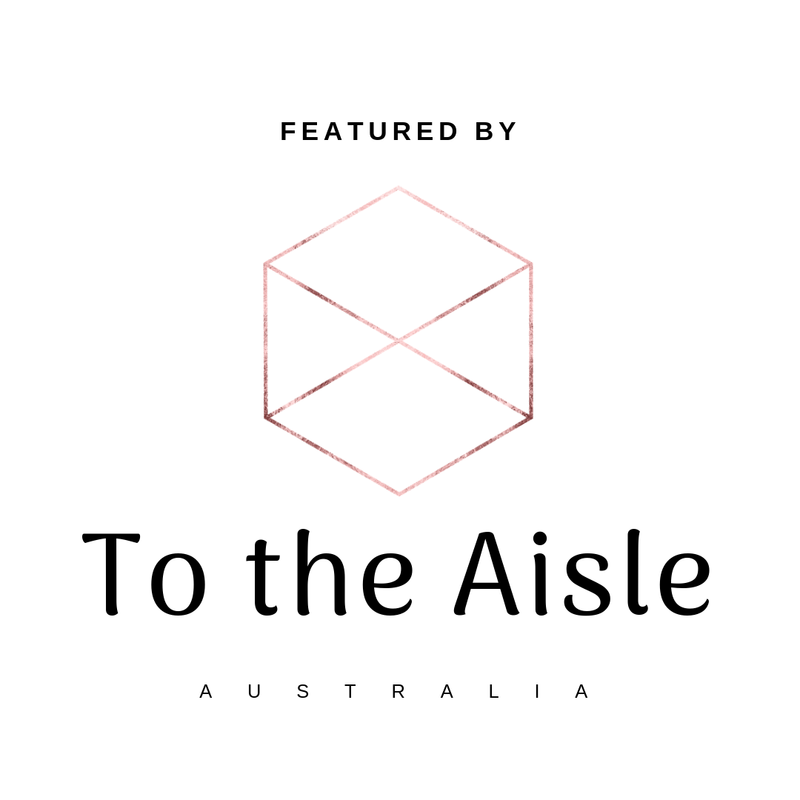 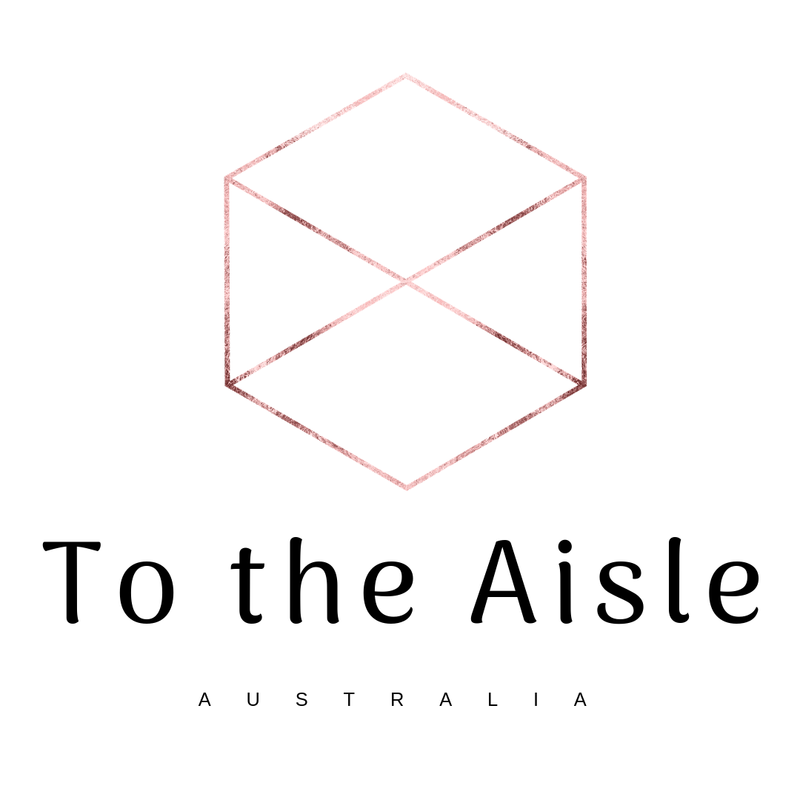 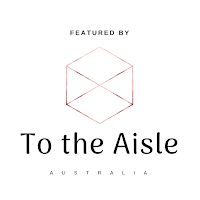 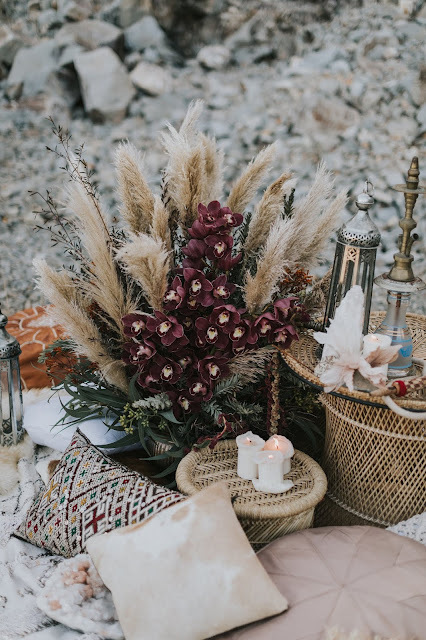 Style Le Aisle founders, Jacinta and Scienta's vision of earthy tones, charming decor & botanical bouquets is apparent through every attention to detail. 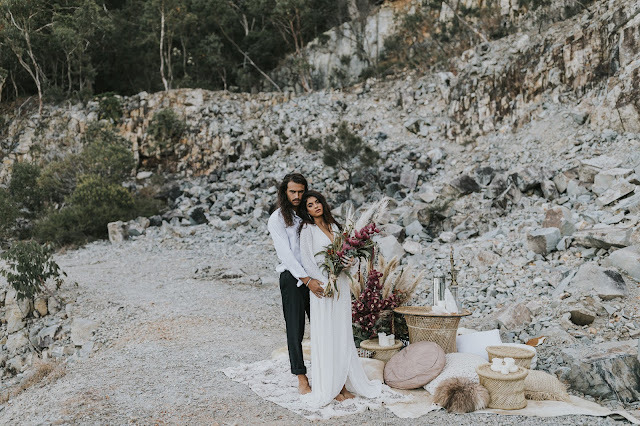 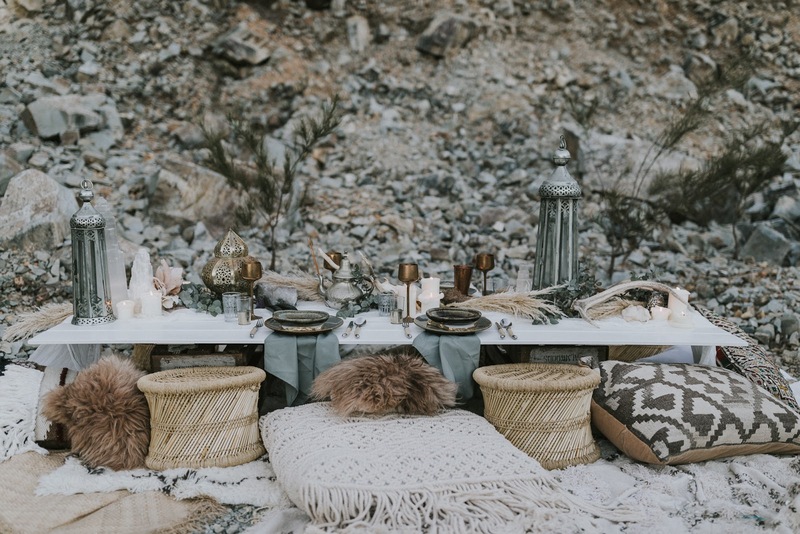 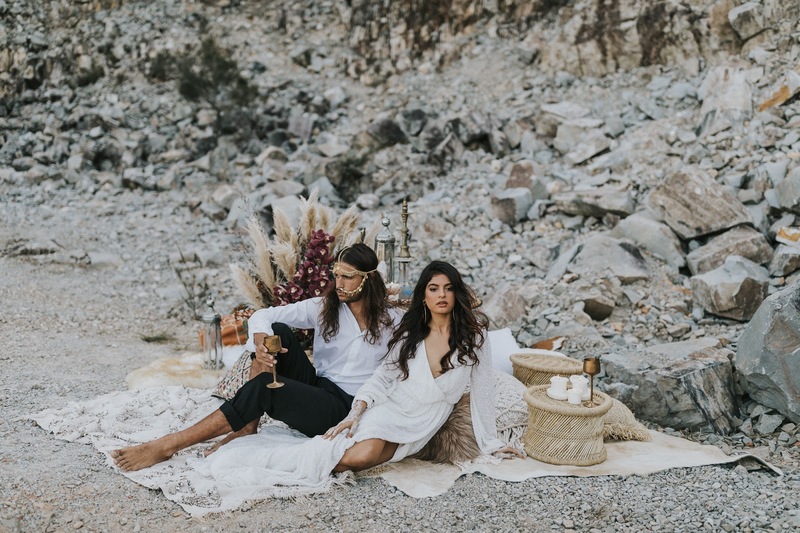 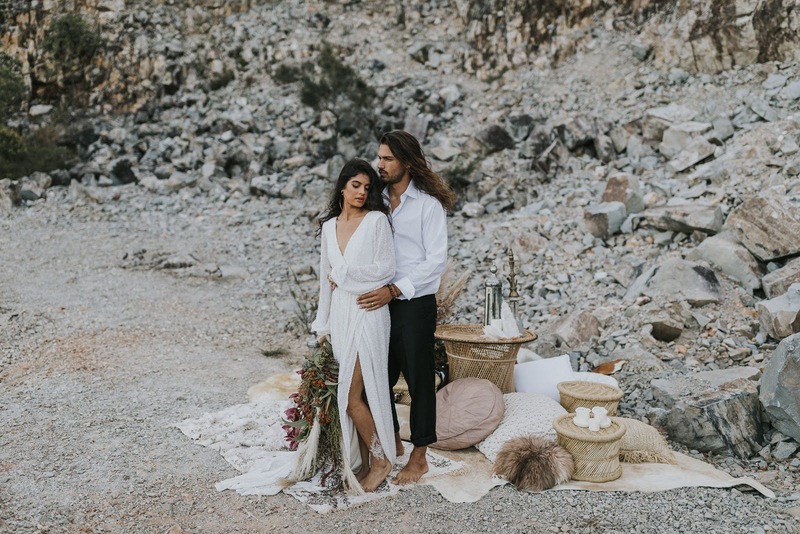 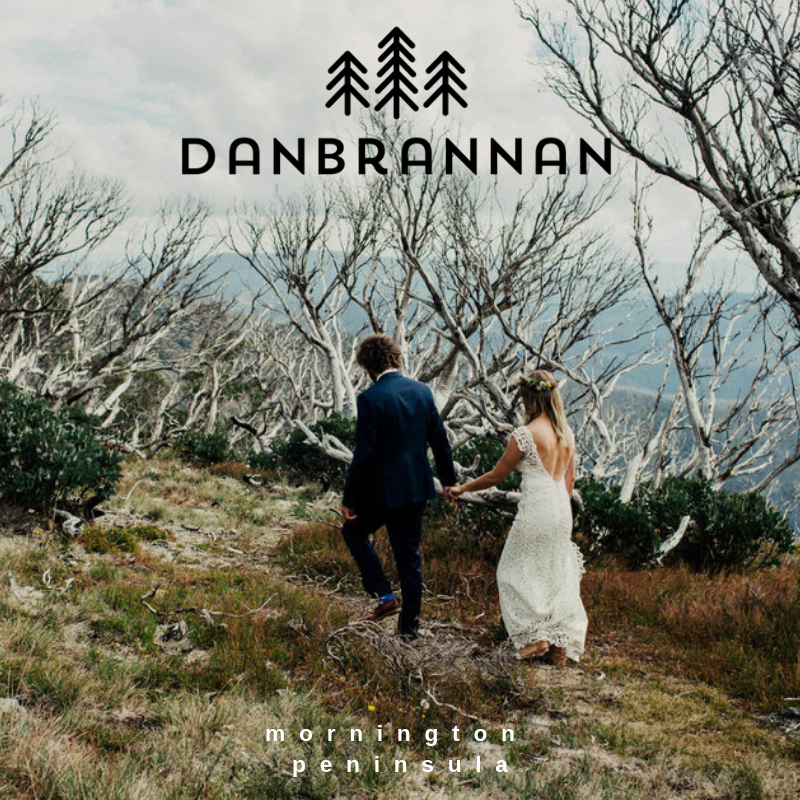 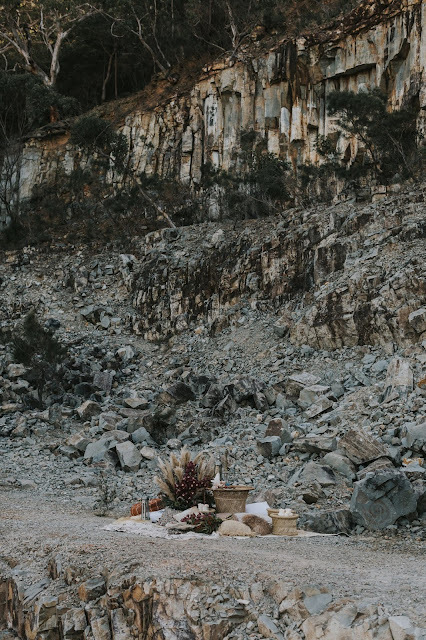 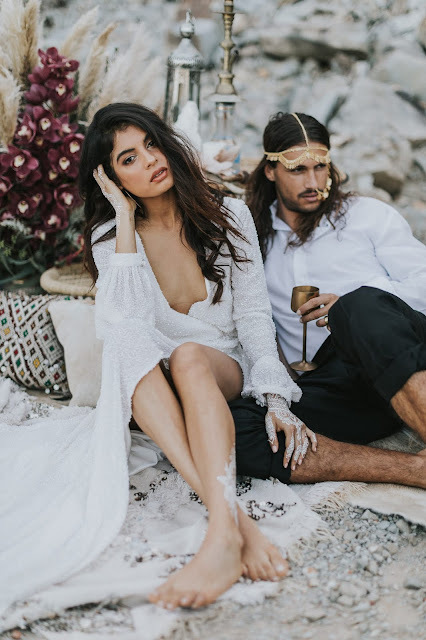 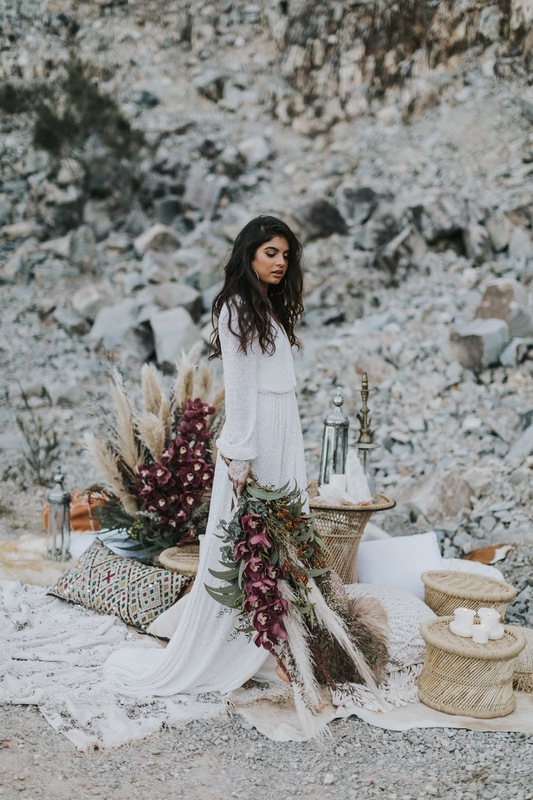 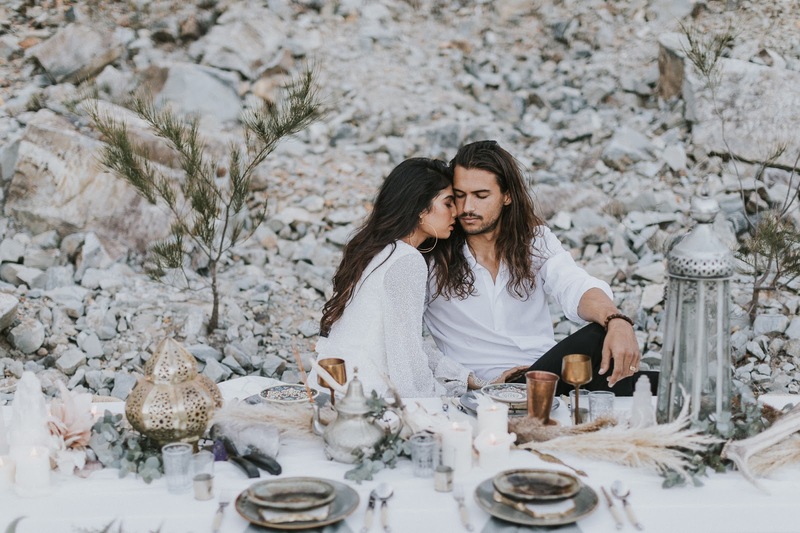 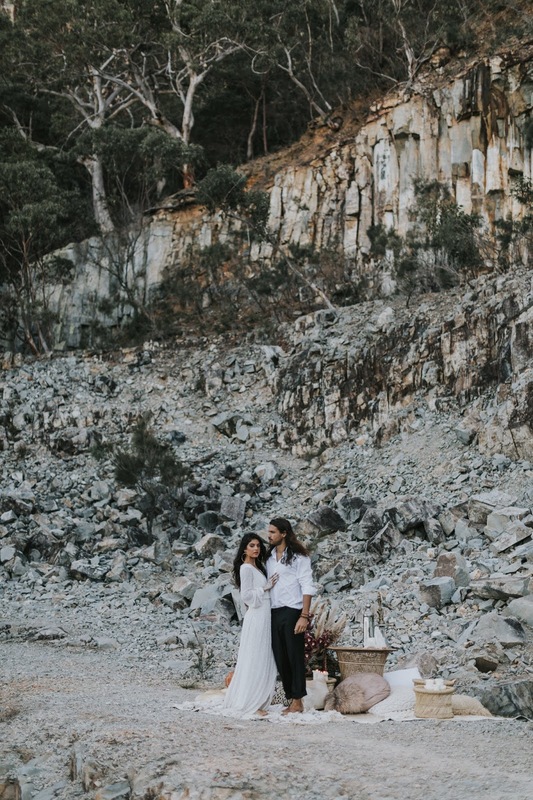 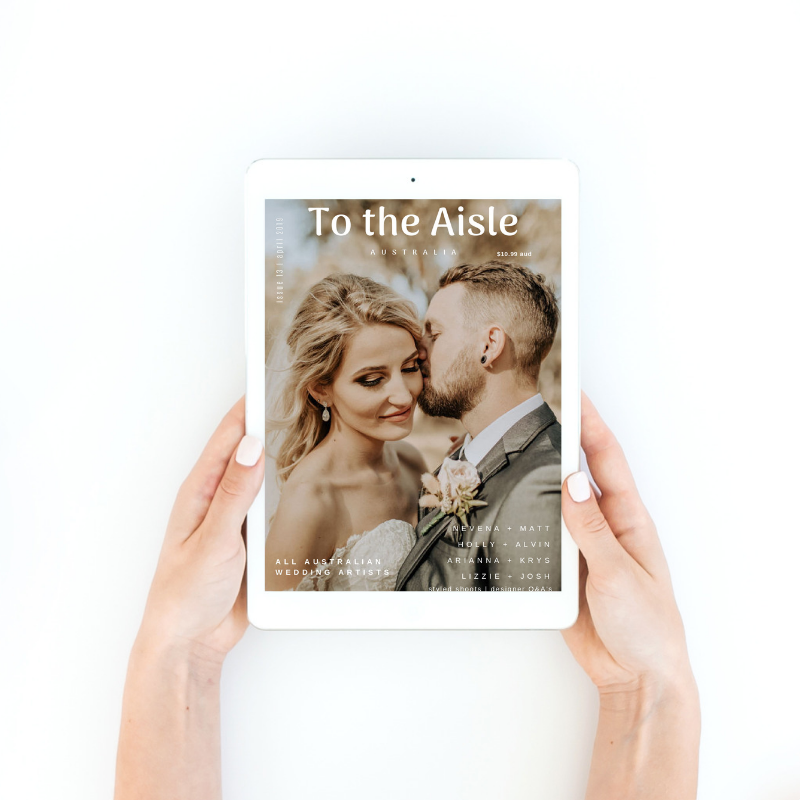 Set in an old quarry space behind the iconic Mt Coolum, the sandstone rock cliff provided the perfect backdrop for this magnificent Holi inspiration shoot. 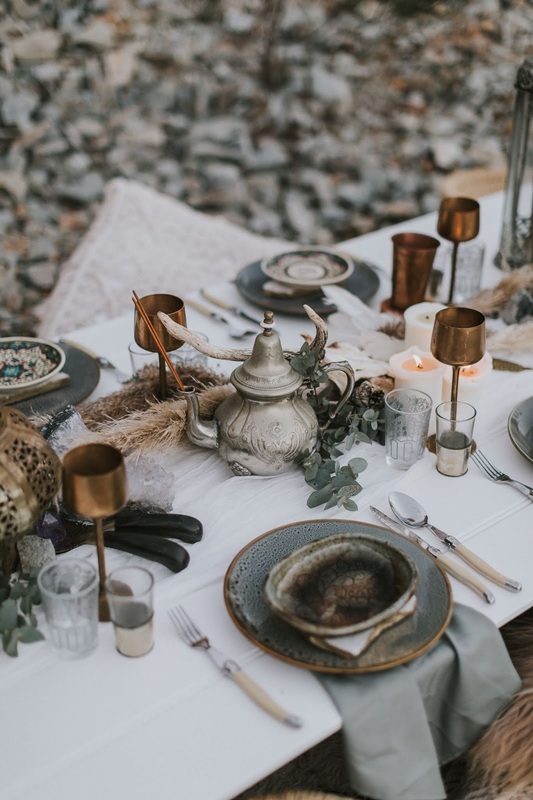 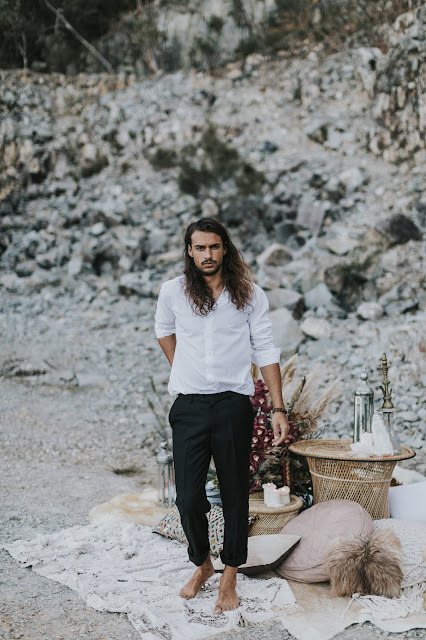 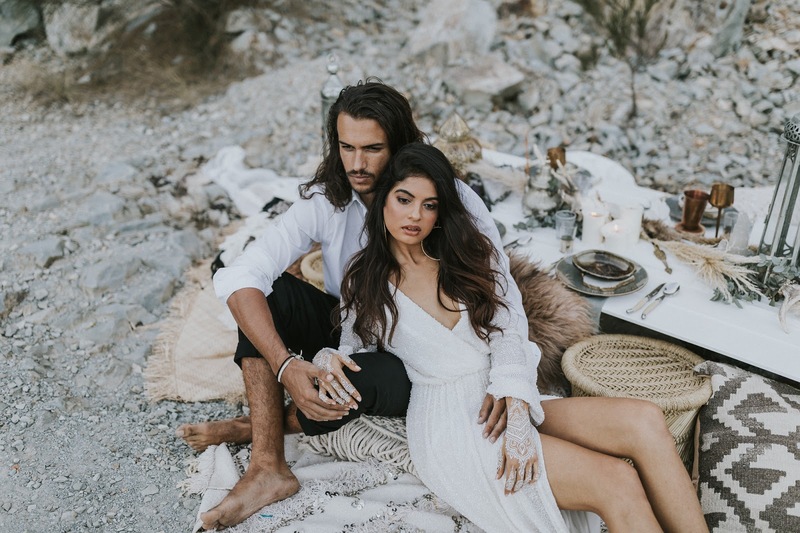 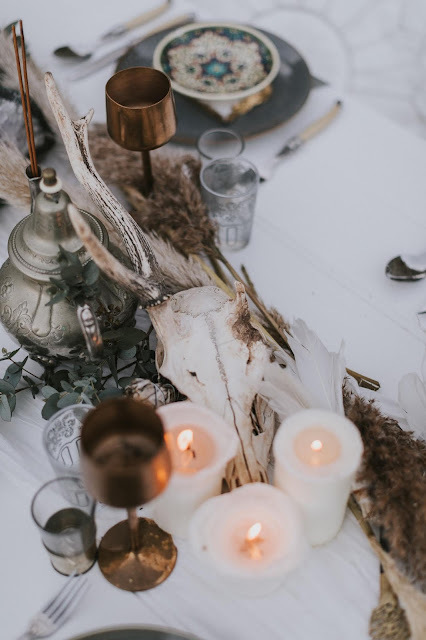 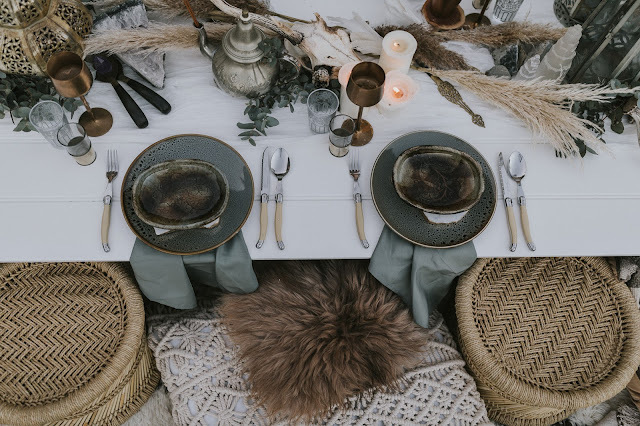 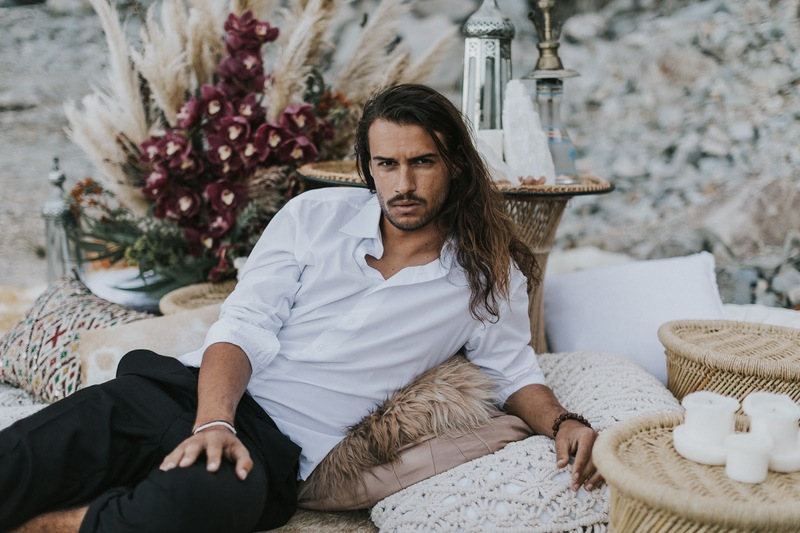 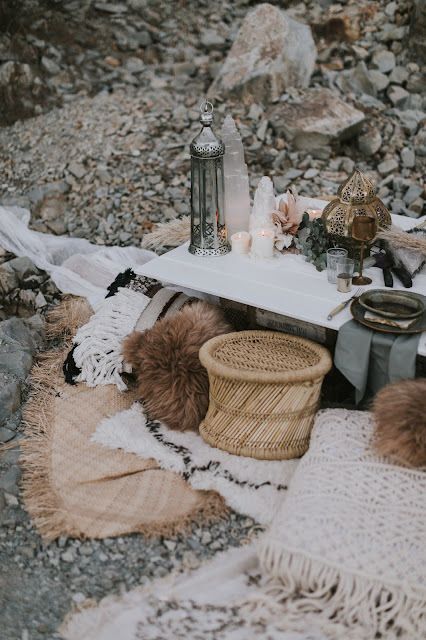 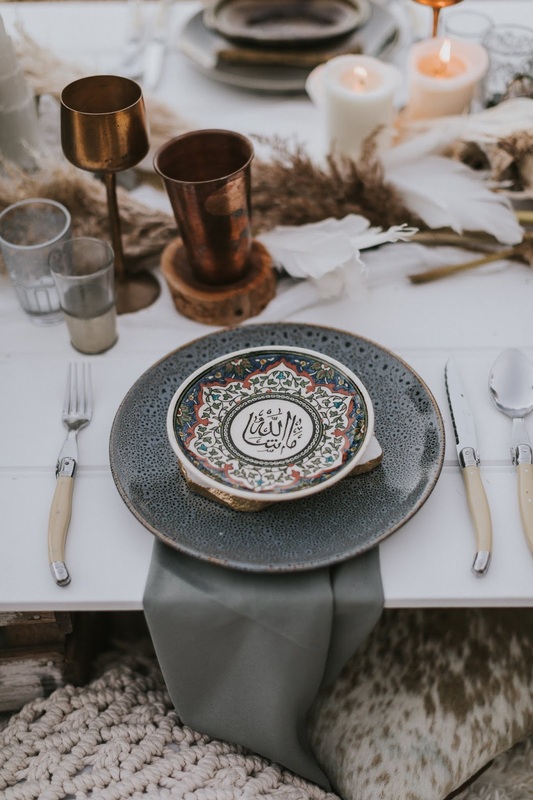 From first light to dusk, this team have styled a shoot full of romance, culture and a touch of mystery. 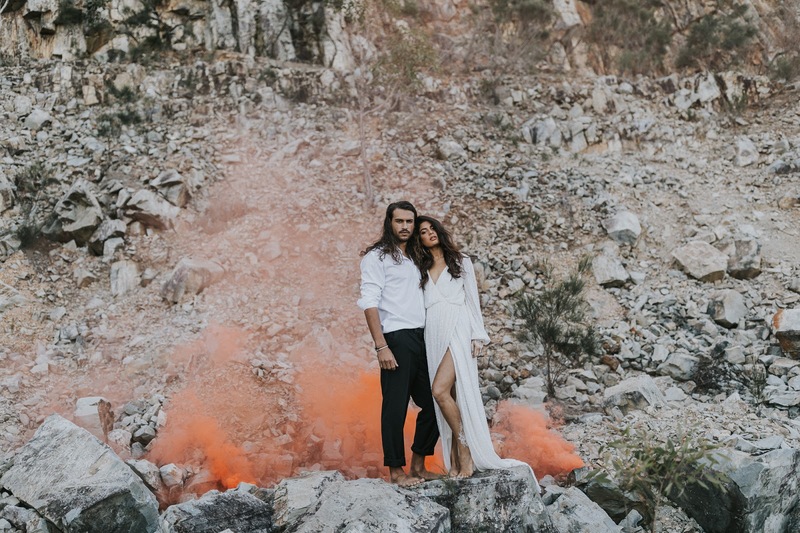 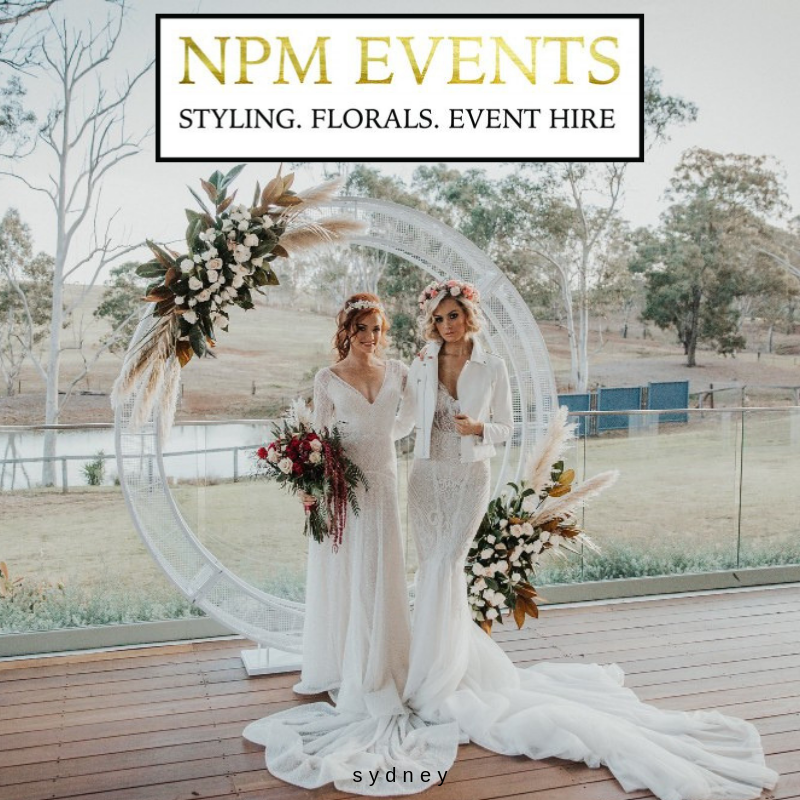 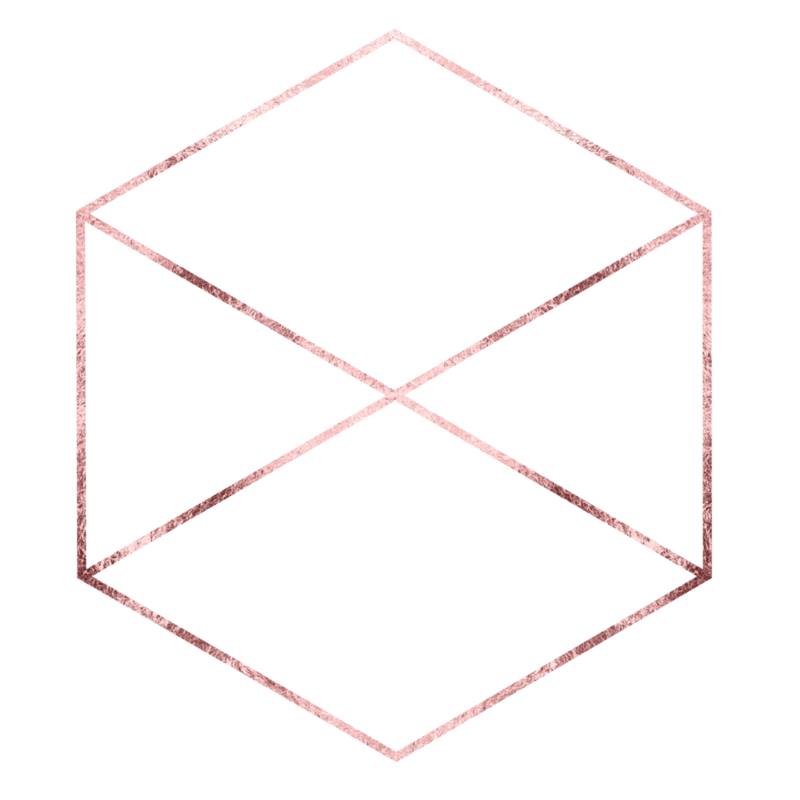 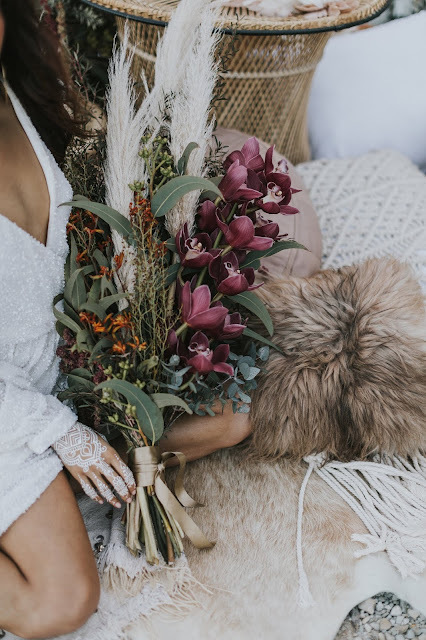 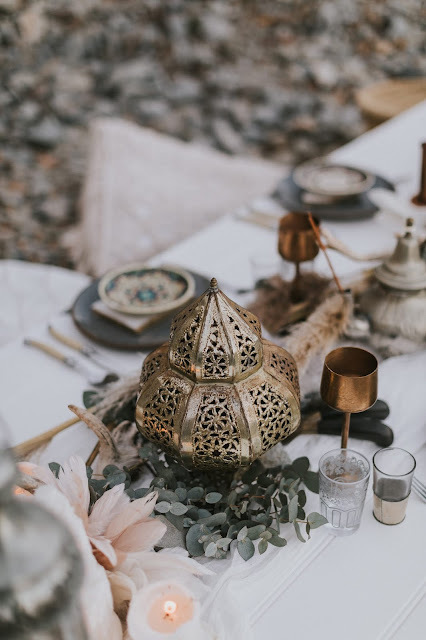 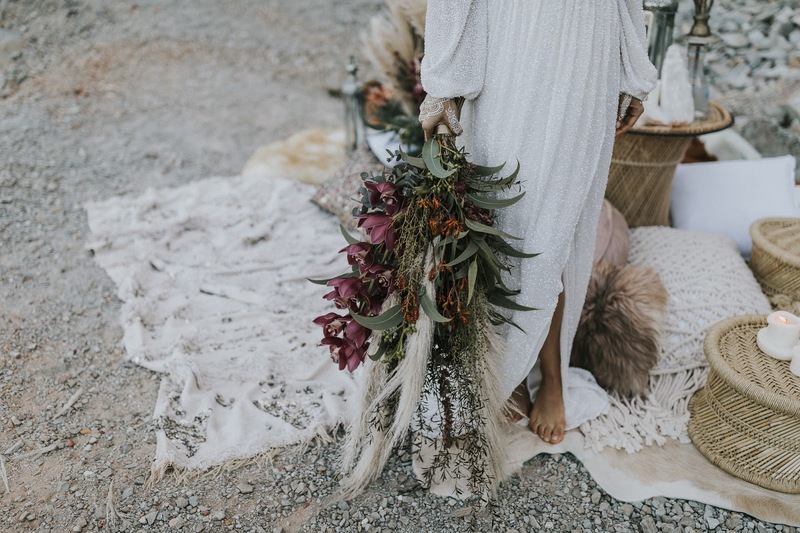 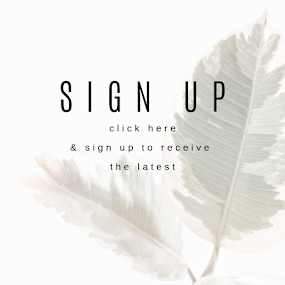 The smoke bombs were chosen as a traditional Holi festival feature but in muted hints of earthy colour and the bouquets come from their love of botanicals using gums, natural dried florals and pampas grass. 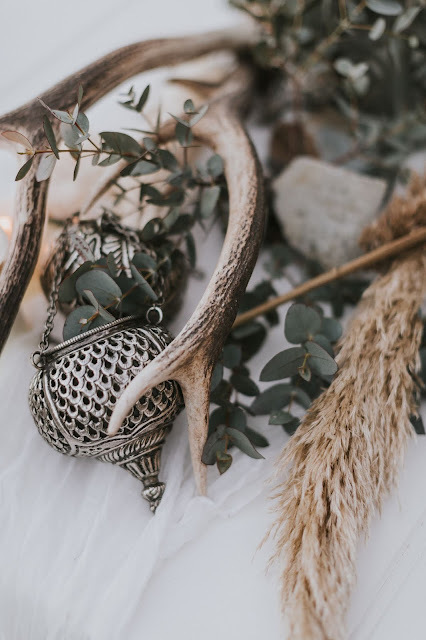 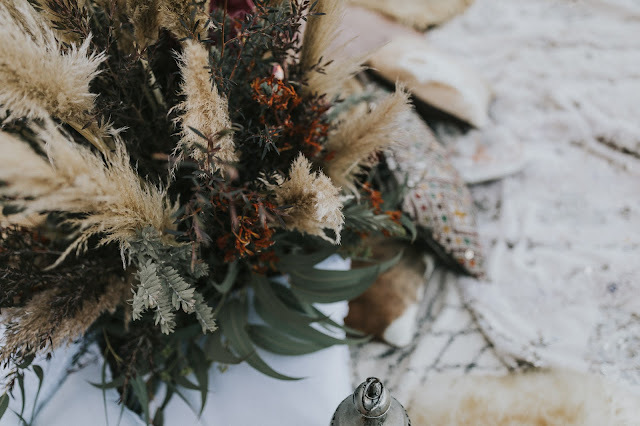 We especially love the use of ethically sourced feather details in place of the standard floral arrangements - details are what these two sisters thrive upon.